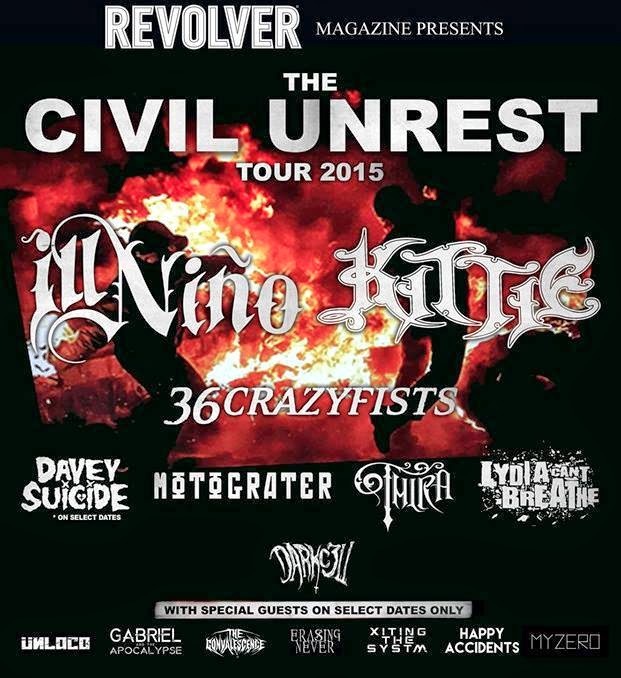 Ill'Nino will be headlining The Civil Unrest Tour which will feature an assortment of special guests throughout it's run. Joining the line of Ill'Nino will be Kittie, 36 Crazyfists, Davey Suicide select dates), Motograter, Thira, Lydia Can’t Breathe and Darkcell. Special guest appearances from Unloco, Gabriel And The Apocalypse, The Convalescence, Erasing Never, Xiting The System and Happy Accidents will also be appearing. Find out where and when from the list of dates below.